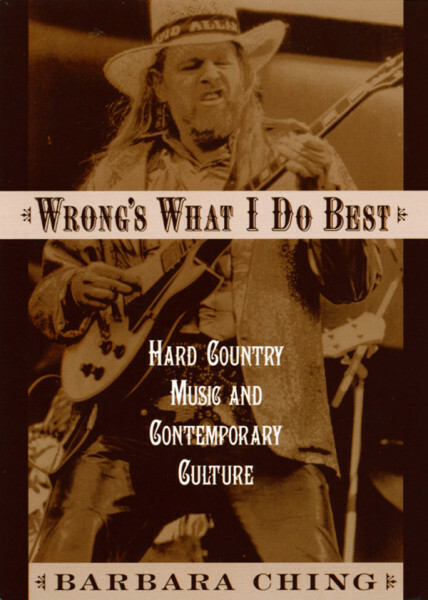 'Hard Country Music and Contemporary Culture' 'Ching...argues that this feisty, mostly male genre, (hard country), is overdue for cultural analysis, claiming that its focus is 'far wider than barnyard and bars' and that its 'volatile blend of anger, irony, and burlesque abjection' - first cooked up by (Hank) Williams - warrants serious study in the postmodern age'. 'The New Yorker' - - This book is the first study of 'hard' country music as well as the first comprehensive application of contemporary cultural theory to country music. Ching argues that hard country deliberately focuses on its low position, while mainstream country buys into the standards of 'higher' culture. Kundenbewertungen für "Wrong's What I Do Best"